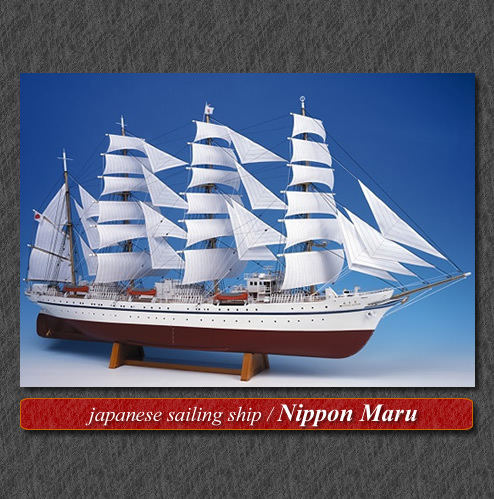 In 1984, Nippon Maru II who was shipbuilt along with the deterioration of the original Nihon Maru. A practicing sailing boat equipped with residential facilities and educational facilities that can accommodate 190 passengers. 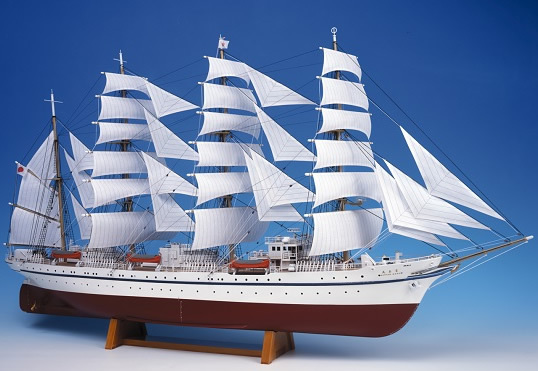 It boasts 110 meters in total length, 13 knots in navigation speed, it is one of the world's largest high speed sailing ships. The kit uses precision wooden laser processed parts. Metal etching parts and soft metal parts are also included. It is a precision model in a state of being anchored in the port. Please see here for the display case. Woody JOE "KAIRIN MARU / There is no sail"